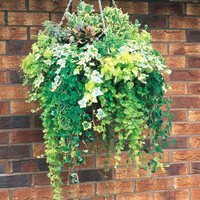 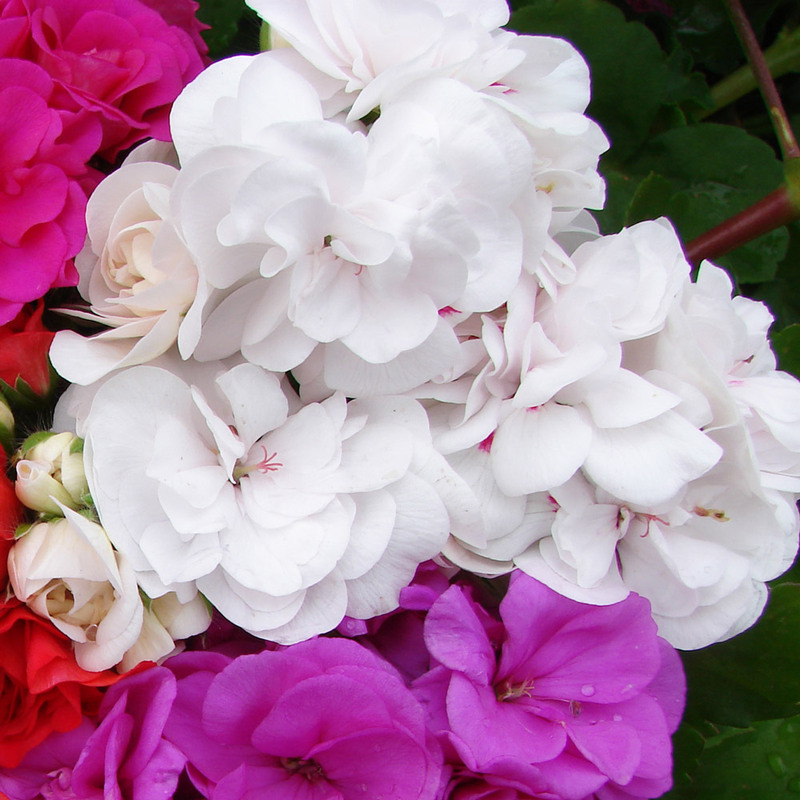 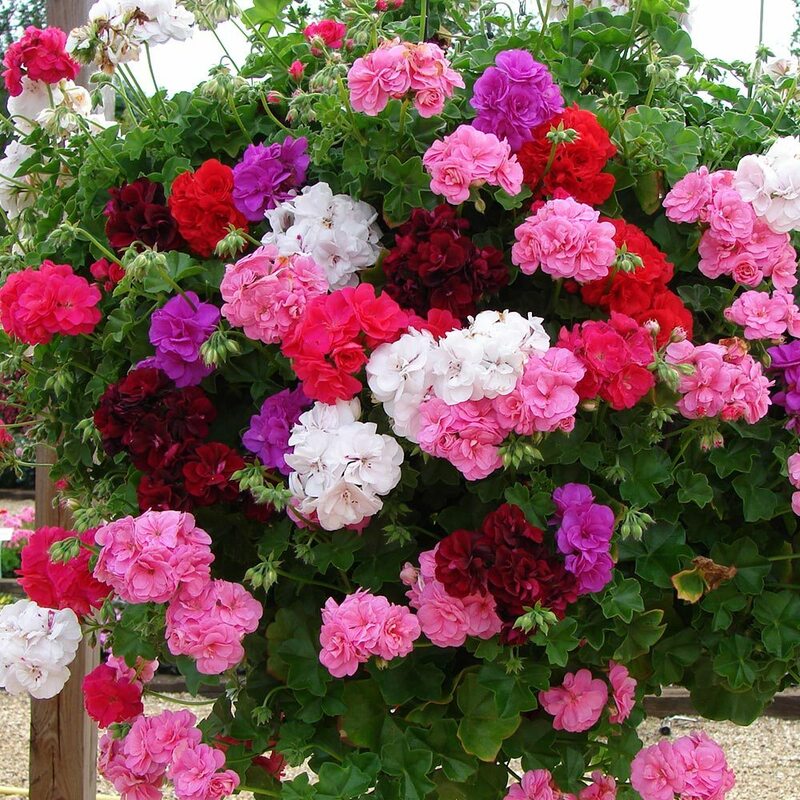 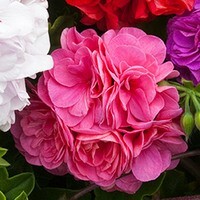 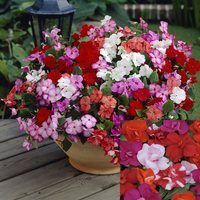 These double trailing geraniums have a fantastic cascading habit making them perfect for hanging baskets. 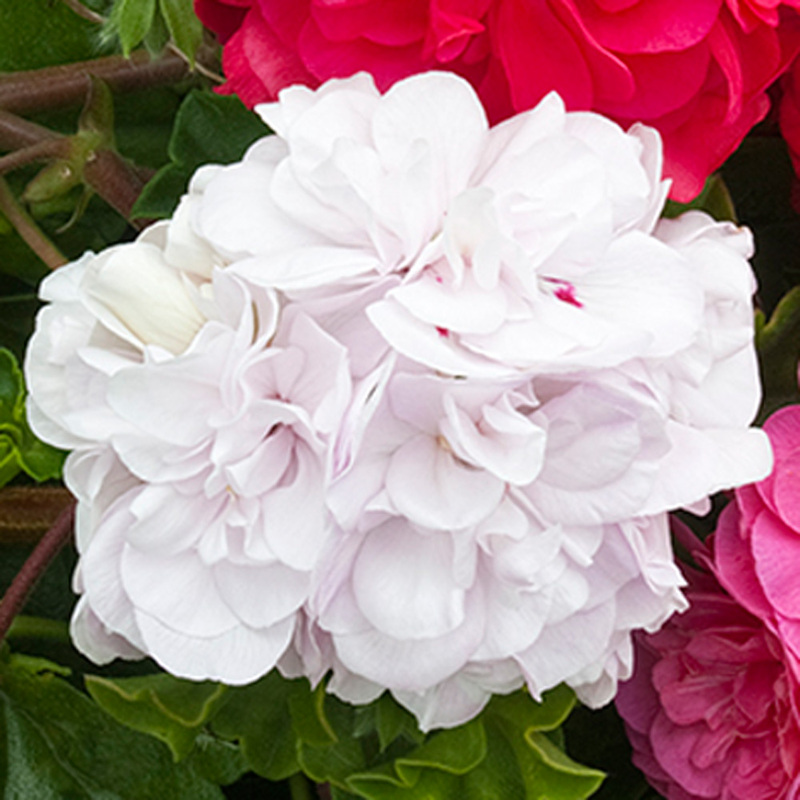 The rosebud like flowers are bursting with colour that will create an eye catching display whether planted on their own or mixed with other trailing plants. This variety has pristine white petals with pink anthers. 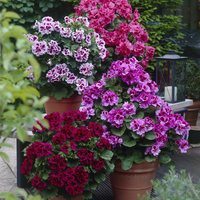 Flowering from June to October and trailing 60-70cm they will produce stunning blooms throughout summer. UK grown 3cm jumbo plug plants supplied.